We got a first look last summer on set, but now the debut official piece of marketing has arrived for Lee Daniels‘ follow-up to Precious. 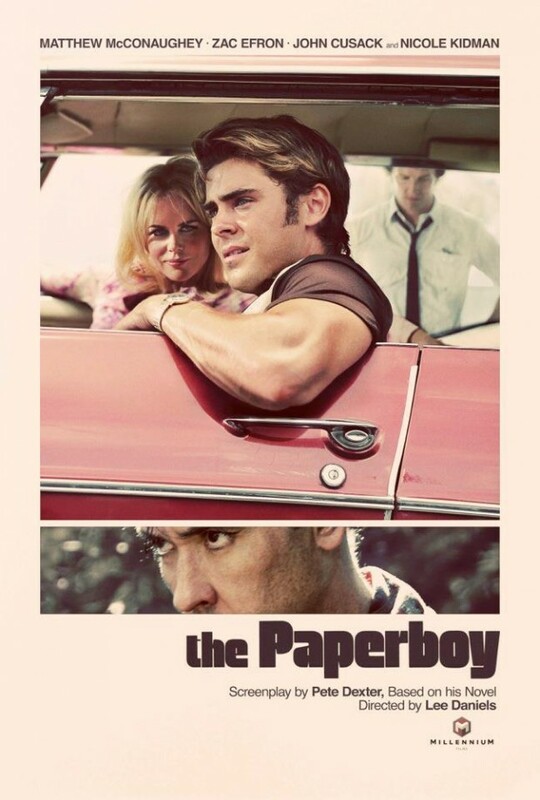 The Paperboy, based on the 1995 novel of the same name by Pete Dexter (whose novel Deadwood inspired the HBO series), has a solid cast of Zac Efron, Nicole Kidman, Matthew McConaughey, John Cusack and David Oyelowo. Millennium Films have sent over the first official poster during this holiday week and I quite like the style. One can feel the sweltering summer Louisiana heat and it almost feels like the cover of a novel, with the plain outer edges. As for the film, I wasn’t a fan of Precious, but the inclusion of Efron and McConaughey — who both deserve much better than recent projects — have me excited. And John Cusack as a villain? I’m there. Check it out below, along with the official synopsis. Expect a 2012 release for The Paperboy.